Why and When Should Carpet Be Stretched? Poor carpet installation, heavy traffic, or years of usage may cause wrinkles in your carpet. If your carpet has wrinkles then your carpet should be stretched in order to avoid permanent damage. Left unchecked, your carpet could crack and rip, causing a tripping hazard. Go to the center of the room and lift the carpet. The carpet should be difficult to lift and should return to its previous flatness as soon as you let go. 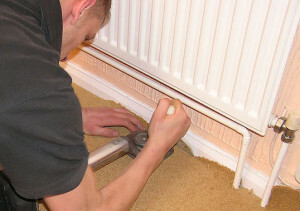 If the carpet is easy to lift and does not immediately fall back into place, then your carpet needs to be stretched. Santa Fe Floor Care’s carpet stretching service can help extend the life of your carpet. Request an estimate today to avoid permanent damage.